God’s word is a lamp unto our feet. A Christian who doesn’t regularly read his Bible is like a man lost in a forest with no path that leads him home. Yet many Christians who read the words of the Lord, because they have no one to explain it to them, fail to understand what God is saying. The words on the pages of the Bible may penetrate their minds, but they do not pierce their hearts. There’s good news. God wrote the Bible as a book of instruction for His people. It is also the means by which He shows us who He is and what He does so that we can know Him intimately and develop a relationship with Him. Obviously then, He fully expects everyone to understand exactly what He is saying. To this end, He has given us everything we need for accurate understanding within the pages of the Bible itself. Our job is to learn how to find it. We must learn how to let the scriptures interpret the scriptures. We do not need outside books or the commentaries of other people. These are merely human opinions. Most of us do not want to hear good news through the words of strangers; we want to hear directly from the one who knows. As a Christian, we want to hear God’s teaching directly from God Himself. That is the only way we can be certain that we are hearing the actual words of God. 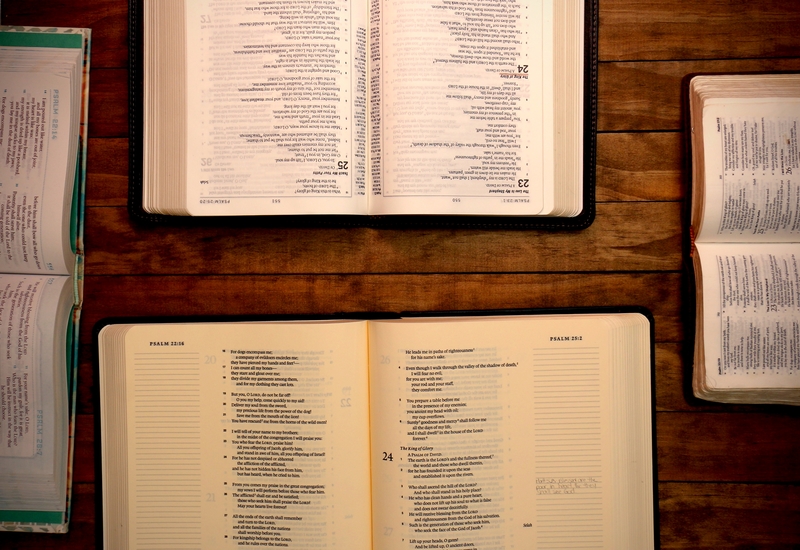 There are many different ways that believers study the Bible on their own. The most effective method may be the one you develop for yourself (again, without the use of commentaries). Patience is the key. Repeated readings of the same passage will bring to light truths you may have overlooked in a cursory reading. As you read, continually ask the five Ws & an H (who, what, where, when, why and how). Establish the context of the passage and determine to mean within that context. This is a growing process and cannot be rushed. Remember, you have the Holy Spirit within to guide your study. Bring Your Maps Call me old-fashioned, but when traveling across country I want my maps…. New Bible Study in September 2018!